In this review of the BedJet Climate Comfort system, we take a look at this innovative product that promises to provide relief from uncomfortable temperatures during the night which threaten to keep you from getting a good night’s sleep! Achieving an optimal sleep temperature and finding a solution that will work well for both you and your partner, especially if you have different temperature preferences, may seem difficult but it is not impossible. Click here to get the best price on a BedJet! 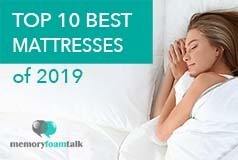 These days there are many products on the market that claim to help you get a cooler or warmer night’s sleep, and in today’s review, we’ll show you how one of these products functions and what are its benefits. A single BedJet V2 and a Dual Zone AirComforter configuration – This configuration allows you to cool or warm one side of the bed without disturbing the sleeping temperature of the other side. The Dual Zone AirComforter creates two independent zones within a sheet without putting a barrier between the partners. A full BedJet V2 Dual Zone Climate Comfort System – This system consists of two BedJets and a Dual Zone sheet and allows you to cool or heat both sides of the bed simultaneously. A single BedJet and a Single Zone AirComforter configuration – This configuration allows you to create one uniform temperature for the entire bed. What we reviewed is a single BedJet V2 and a Dual Zone AirComforter. It arrived in two boxes (in one of them was the comforter), and everything within them was well protected. It took us about 10 minutes to fully assemble the BedJet after unpacking all the pieces. Assembling the BedJet was a simple process, and it didn’t require any special tools. We placed the BedJet on Andrew’s side of the mattress as he tends to sleep significantly warmer than me. This helped him to sleep cooler without the need to set our home AC on full blast and make the whole house really cold which usually results in me being totally frozen. You can place your BedJet on whichever side of the bed you choose or you can place at the foot of your bed or in the middle. You can adjust the BedJet according to the height of your mattress by using some or all of the included supports. When installing the air hose, you can use the little sheet clamps to help keep your sheet from pulling loose as you move during the night. Make sure the clamps are clasping the fabric part of the hose with the plastic Air Nozzle resting on top of it for full stability. Avoid clamping it around the plastic part as in such case it could easily break and won’t be as secure. To keep you cool throughout the night, the BedJet uses the convective and evaporative cooling method. This means that it pulls the ambient air temperature from the cooler air near the floor that surrounds the base unit under or next to your bed and circulates it through your bedding to cool you off. It is NOT a portable AC unit that utilizes cooling gases such as Freon or other coolants, and as such it does have its limitations on how cool it can get. Convection cooling occurs when cooler air brushes against your skin thus reducing your body heat, while evaporative cooling occurs when your body moisture comes in contact with the cooler air, which again results in reducing the heat of your body and keeping you cool and comfortable throughout the entire night. As the BedJet uses the coolest air in your room to cool you off, it cannot serve as replacement for an AC unit, and if the temperature in your room is above 79 degrees Fahrenheit, it may not be so effective. We didn’t try out its heating features as we live in Texas where it is really hot, especially during summer, but if you need the BedJet to warm you up, you just need to set it to either warming or turbo warming settings. Warm air can be blown anywhere from 85 to 109 degrees for both quick, and gradual heating purposes. To get the full BedJet experience, we recommend using their AirComforter Sheet. It is a double layer top sheet that replaces your existing top sheet and goes over both of you. It resembles a normal sheet except that it has special stitching down the middle that creates independent air flow chambers on either side. It allows you to cool or warm either the left or right side independently. With one BedJet unit we could cool only Andrew’s side, but with two BedJet units you can cool one side and warm the other, which is especially good if you are a couple suffering from thermal incompatibility and you cannot agree on comfortable sleep temperature. There is no barrier between the two sides which means that couples can touch and cuddle under the sheet just like under a normal top sheet. The sheet is well made with tightly stitched openings and without any loose threads. It is made from 100% cotton and has a very soft and pleasant feel to it. It does not require any special care and can be normally washed and dried. You can use it as a stand-alone cover or under your favorite blankets or sheets. The BedJet unit allows using your own sheets as well, but in such case, the air that’s being pumped simply flows along your feet and floats under the sheets. It is effective in cooling or warming you too, but if you want to use the benefits of the BedJet to their maximum, we recommend using the AirComforter sheet. We did test the BedJet out this way by bypassing the AirComforter sheet and just directing air underneath our comforter, which enabled both of us to feel the airflow under the sheets. Doing this causes a little bit of “air under the sheets” sensation, which you may or may not like. When we received the BedJet unit, we were concerned that it will be too loud once we assembled it and turned it on. However, the BedJet proved we were wrong. It has special acoustic damping technology built into the case and air delivery system which makes it one of the quietest sources of air from any small consumer appliance. 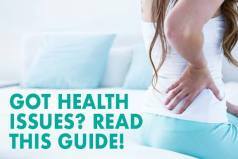 The noise is actually a very soothing background white noise, similar to your household HVAC register. Though the unit, when it is set to the highest fan setting, can be rather loud, after you turn the system down you can barely hear any sound. The BedJet comes with a remote that allows you to control the unit, but you can also download their free application and control the system from your smartphone or tablet via Bluetooth. The application offers you a few more options in terms of temperature control, alarms and timers. It gives you the opportunity to select the exact number or the amount of time when changing the temperature or selecting the exact amount of time you would like to set the timer for without the need for clicking plus and minus buttons on the remote repeatedly. The application’s biorhythm technology allows you personalized comfort by taking into account the temperature of your room and regulating the settings you have previously saved to provide automated sleep temperature settings throughout the night. The percentage of airflow can be tailored to your specific needs and preferences, and it may increase or decrease throughout the night depending on your answers from a short biorhythm questionnaire. As I have already mentioned, we live in Texas where temperatures can be very high, especially in the summer, so we decided to try out the BedJet’s cooling feature only. I don’t sleep as hot as Andrew so he used the system on his side of the bed and he was impressed with how quickly it provided him with the level of cooling he was looking for. We used the AirComforter sheet which did not allow the cool air to escape to my side and disturb my sleep. I also noticed that Andrew did not toss and turn so much during the night and that he slept more peacefully. The BedJet unit combined with the AirComforter sheet effectively regulated his body temperature, kept him cool and comfortable throughout the entire night and completely eliminated sweating. Although the sheet goes over both of us, the cool air on Andrew’s side does not affect my sleep. It is extremely soft and pleasant to the touch, and what we especially like about it is that it has no barriers that could prevent us from cuddling and touching during the night. Basically, it appears to be just like any other normal sheet except that it is made of two layers with special stitching down the middle which creates independent airflow chambers and allows you to cool or warm each side independently. As for the price of the BedJet units and AirComforter sheets, you can get the BedJet single side V1 model for $329, single side V2 model for $369, while the dual side V2 model costs $839. The AirComforter sheet comes in at $139 for a Queen size which is a bit pricey, but it is worth the extra money if you are already investing in the system as it will provide you with the full benefits of the BedJet climate comfort system. All in all, these are reasonable prices given the quality of these products and their extraordinary performance. Their customer service also is excellent and easy to reach for any issues. You will get a 60-day money back trial with free returns and a 2-year limited warranty covering defects. Click here for the best price on the BedJet climate comfort system and AirComforter sheets. Why Should You Buy the BedJet and AirComforter Sheet? You want a full control over your sleep temperature – If you struggle with reaching optimal sleep temperature during the night and you sleep either too hot or too cold, the BedJet may be a great solution. It will give you the control over the temperature at which you sleep and improve the overall quality of your sleep. 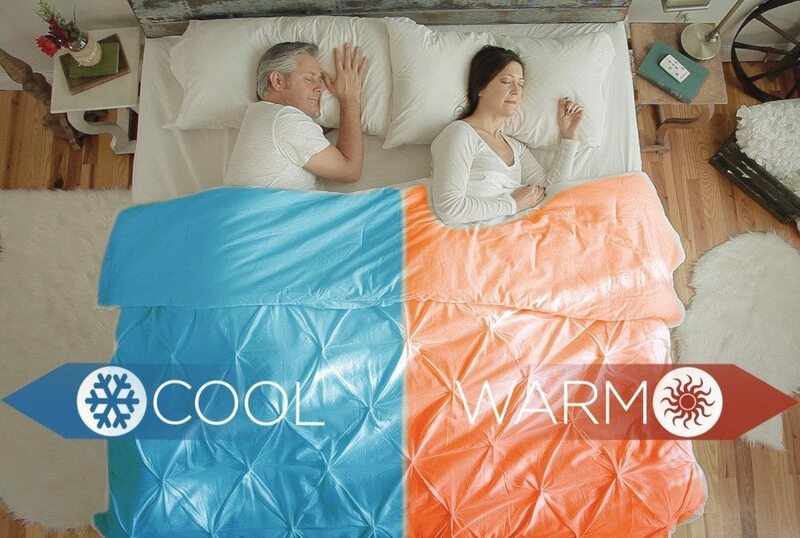 You and your partner suffer from thermal incompatibility – If you and your partner have different sleep temperature preferences and one likes to sleep cooler and the other warmer, the Dual Zone AirComforter will stop the bedtime thermostat war between the two of you by allowing you to cool or heat one side of the bed without disturbing the other side. With a full Dual Zone system and two Bedjet units, you can heat or cool both sides simultaneously. You sleep warmer or cooler at certain positions during the night – The BedJet’s application, which you can download for free and use it from your smartphone or tablet, gives you the ability to control the temperature at exact and automated times. If you have been looking for a solution to sleeping hot on your memory foam bed-in-a-box mattress, if you are a menopausal woman and you suffer from hot flashes, or if you live in the colder climates and need something to warm you up during the night, the BedJet may be a perfect solution. Although it is a relatively new company, it has already gained a great popularity and trust among its customers for the quality of its products and extraordinary customer service. 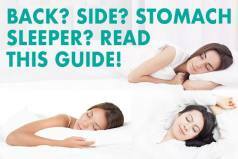 So, if you sleep too hot or too cold and you would like to get a chance to adjust the sleeping temperature according to your preferences, then you should definitely check out this product! We liked it for helping to cool down our hot Texas summer nights, and are considering getting two units so that we can each enjoy separate temperature controls during the night. Hopefully this review of the BedJet Climate Control System helps you out if you decide to make a purchase of this effective temperature regulating device!